Hi. Welcome to the day 22 of my ‘30 days, 30 posts’ challenge, where I’m writing one interesting investing blog post daily for the 30 consecutive days. 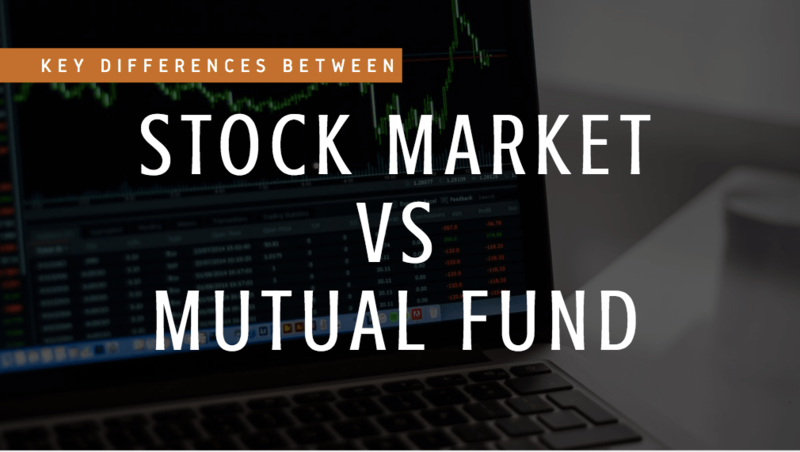 In this post, we are going to discuss the fundamental difference between stock and mutual fund investing. However, before we start talking about the differences, let’s first define what stock and mutual fund investing is. What is stock and mutual fund investing? Stock market investing means investing directly in the stocks of the company. Here, you are purchasing the companies listed on the stock exchange with an expectation to earn profits when the price of that stock goes up. On the other hand, a mutual fund is a collective investment that pools together the money of a large number of investors to purchase a number of securities like stocks, FDs, bonds, etc. A professional fund manager manages this fund. When you purchase a share in the mutual fund, you have a small stake in all investments included in that fund. Hence, by owning a mutual fund, the investor participates in gains or losses of the fund’s portfolio. While investing in mutual funds, you have to pay different charges like expense ratio, load fee (entry load, exit load), etc. For the top mutual funds, the expense ratio can be as high as 2.5-3%. On the other hand, if you invest in the stock market, you have to open your brokerage account (which includes opening account charges), and you have to pay some annual maintenance charges too. Further, there also different costs while transacting in stocks like brokerage, STT, stamp duty, etc. Nevertheless, if you compare the charges involved in stock and mutual fund investing, you can find that the costs while investing in stocks are still lower. This is because managing a mutual fund consists of a lot of expenses like management fee, the salary of the managers/employees, administration charges, operational charges, etc. However, for investing in stocks- the most significant burden is only the brokerage. Also read: 23 Must-Know Mutual fund Terms for Investors. Direct investing in stocks has more volatility when compared to mutual fund investing. This is because when you invest in shares- you generally purchase 10-15 stocks. On the other hand, the mutual fund consists of a diversified portfolio with investment in different securities like stocks, bonds, fixed deposits, etc. Even the equity-based mutual funds invest in at least 50-100 stocks. Due to the broad diversification, the volatility in the mutual funds is a lot less compared to that of shares. Stock market investing has a very high return potential. Most of the successful investors in the world and India like Warren Buffett, RK Damani, Rakesh Jhunjhunwala, etc. have built their wealth by investing directly in the stock market. However, this is only one side of the story. The complete fact is that the majority of people lose money in the stock market. Although the return potential is high while investing in stocks, however, the risk is also higher. On the other hand, most of the good ranked mutual funds have given decent consistent returns to their shareholders. Although the returns are not as high as what many successful investors can make from stocks, however, this return is enough to build a massive wealth for an average person for a secured future. If you invest in ELSS (equity linked saving scheme) under mutual funds, you can enjoy a tax deduction up to Rs 1.5 lakhs in a year under the section 80c of the income tax act. Another benefit of investing in the mutual fund is that you do not have to pay tax if the fund sells any stock from its portfolio as long as you are holding the fund. On the other hand, when you sell stock while investing directly in the stock market, you have to pay a tax, no matter what’s the scenario. There are no tax benefits while investing in the stock market. You have to pay a tax of 15% on short-term capital gains and a tax of 10% (above a profit of Rs 1 lakh) on the long-term capital gains. Also read: Mutual Fund Taxation – How Mutual Fund Returns Are Taxed in India? Investing in the stock market requires frequent monitoring. This is because stock market investing is a personal thing. Here, no one is going to do this for you and hence you have to monitor your stocks yourself. Moreover, due to the high volatility of the share market, the frequency of the monitoring should be higher. At least every quarter or half yearly. On the other hand, for the mutual fund -there are fund managers who take care of the investments and make the buy/sell decision on your behalf. That’s why, when you invest in mutual fund, you do not need to monitor your fund much frequently. Anyways, you should watch your funds at least every year so that you can confirm that your fund’s performance is in line with your goals. Also read: How to Monitor Your Stock Portfolio? Mutual funds investment provides you with an option of a systematic investment plan. A Systematic Investment Plan refers to periodic investment. For example, the investor can invest a fixed amount, say Rs 1,000 or 5,000, every month (or every quarter or six months) to purchase some units of the fund. SIP helps in investing automation and it brings discipline to the investment strategy. On the other hand, there’s no option of SIP available in stock market investing. While investing in the stock market, the only asset where you can spend is stocks of the company. On the other hand, the mutual fund gives you an opportunity to invest in a diversified portfolio. Here, you can invest in a variety of asset classes. For example- debt mutual funds, equity-based mutual funds, gold funds, hybrid funds, etc. The total time needed for directly investing in stock is a lot more compared to that of a mutual fund. This is because a fund manager manages a mutual fund. However, for direct investment in the stock market, you have to do your research. Here, you have to find the best possible stock for investing yourself, and that requires a lot of study, time and efforts. For investing in the stock market, you have to open your brokerage account with the help of a stockbroker. Here, you need to start your Demat and trading account which can take as long as a week to open. On the other hand, you can start by investing in a mutual fund within 10 minutes. 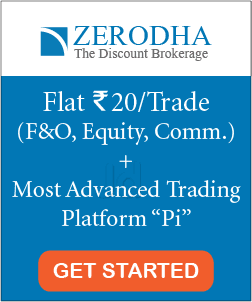 You do not require any brokerage account to start investing in mutual funds. 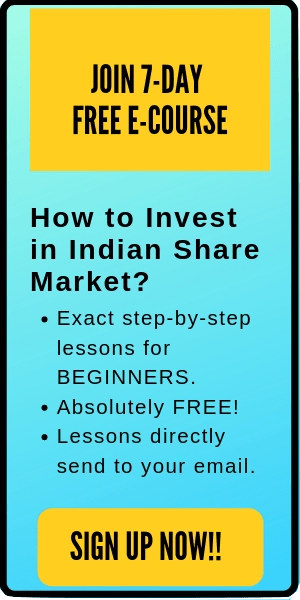 There are a number of free platforms (like Groww or FundsIndia) available on the Internet where you can register within a few minutes and start investing in mutual funds. Generally, the investment time horizon in mutual funds for long-term like 5 to 7 years. Here, you are not trading funds, but investing for the long-run to make money by capital appreciation or regular income through dividend funds. On the contrary, if you invest in stocks- it can be a long-term or short term. You can even keep the stock for a week and get good returns. If you are investing directly in the stock market, you will have a lot of power and control. Here, you can make critical decisions like- when to buy, when to sell, what to buy, what to sell, etc. On the other hand, while investing in the mutual fund, you do not have much control over your investments. It’s your fund manager who makes the decisions like which securities to buy, when to buy, when to sell etc. The highest control that you have is to find and invest in a good mutual fund. However, once you have spent your money, everything will be taken care of by the fund manager. Further, mutual fund performance depends on the efficiency of the fund manager. If the fund manager is efficient, you can get high returns. Otherwise, if the fund manager is not that good, you might get fewer returns. In addition, there is always a possibility that the fund manager may quit or join some other fund house. Overall, here you have to be dependent on the fund manager. However, while investing in the stock market, there is no dependency on anyone, and you can make your own decision to buy/sell whichever stock you want. Check out the upcoming course on mutual fund investing here. No investment is risk-free. There will always be some risk when you invest in the market or even if you invest in the safest fund. Nevertheless, investing in the mutual fund is comparatively less risky than the stock market. However, the returns are also slightly low in mutual funds compared to the stock market. If you are a novice and new to the stock market, it would be salutary if you start investing with mutual funds. For investing directly in the stock market, you will require a good knowledge or at least a strong passion for learning. However, if you have limited time, limited money and not enough passion to invest your money on your own- then you should invest in the mutual funds. That’s all for this post. I hope it was helpful. #HappyInvesting.